Despite the attempts of the Republican People’s Party (CHP), the Parliament fails to reach results on the election threshold after strong opposition from the ruling Justice and Development Party (AKP). Opposition members hit out at the move, saying the outdated rules should be dealth with . 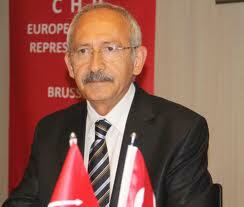 An attempt by the main opposition Republican People’s Party (CHP) to win support for the issue of the controversial election threshold in Turkey, the highest in Europe, through a debate at Parliament’s General Assembly has failed, after uncompromising opposition from the ruling Justice and Development Party (AKP). Relying on internal regulations of Parliament that allow for the bypassing of commission level debates, CHP Deputy Chair Sezgin Tanrıkulu attempted to carry the bill on the “reduction of the 10 percent election threshold to 3 percent” directly on the agenda of the General Assembly. However, other members of Parliament, except those from the Peace and Democracy Party (BDP), did not lend sufficient support to Tanrıkulu in his bid. “If you believe in democracy and freedom in your conscience, then you will raise your hand, come and talk, and then lend support to the proposal,” Tanrıkulu said late on May 28, as he introduced the bill. Nonetheless, neither the AKP deputies, nor the Nationalist Movement Party (MHP) deputies took the floor to voice their stances on the bill. In addition to Tanrıkulu, the CHP’s Tanju Özcan and the BDP’s Sırrı Sakık delivered speeches in favor of the bill. 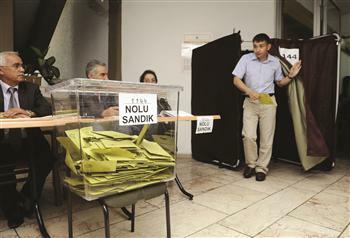 “Reducing the election threshold is a must in order to have democracy settled in Turkey,” Tanrıkulu said, while also expressing his doubt over the sincerity of Prime Minister Recep Tayyip Erdoğan concerning the government-led initiative aimed at ending the three-decade-long conflict between security forces and the outlawed Kurdistan Workers’ Party (PKK). “If you want to build a true peace, the place [for doing this] is this rostrum,” Tanrıkulu said, speaking amid frequent interruptions from AKP deputies. “If you are in favor of true peace, you would accept the CHP’s proposal for true democracy and offer support to this proposal,” he said. A clause in the Constitution is cited as the basis for the controversial 10 percent election threshold. This clause is justified as a way of keeping small parties out of Parliament, thus not allowing the country be governed by unstable coalitions. “The electoral laws should be drawn up in such a way as to reconcile the principles of fair representation and consistency in administration,” says Article 67 of the current Constitution.